Probably the worst review I have ever received started off by my boss of 18 months saying, “Wow, if I had known you were doing this caliber of work all this time, I would have given you a much higher score.” Its no wonder why I was already in the middle of interviewing for a different job and ended up submitting my resignation just a few short weeks later. But it doesn’t have to be that way. Recently I heard a news story on NPR about how companies should do away with employee reviews completely. I don’t know that I entirely agree with that sentiment, but I do understand the underlying frustration. Too many times in my life I have sat down across the table from my boss and thought this was just another way for them to deny me a raise or promotion. Thankfully I have been fortunate to have a few excellent managers that have more than balanced out the bad ones; people who make the review process much less painful. 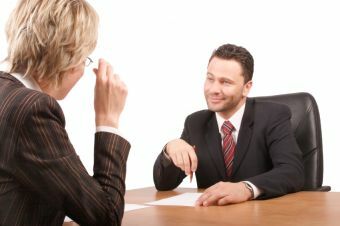 Now that I’ve been a personnel manager for a few years, I feel that I have a few suggestions for you people managers out there on how we as project people could improve the reviews we give to our employees. Tie results directly to their respective body of knowledge (BOK). When your results are directly tied to the key measures of your job, areas which have received wide support and have stood the test of time, it makes the process feel less arbitrary and less of a popularity contest. Encourage your employees to get involved in the process, just like they do in a project. If you manage business analysts, have them treat the review process like they would a lessons learned session, benchmarking their progress so that during the next iteration they can show improvement. Have your project managers make their review into a plan, with tasks to perform in order to be promoted. Have your analysts learn a new elicitation technique during the year. Of the more than a dozen options, most analysts have only used 4 or 5 during their career. For project managers, learn a new project costing methodology. Santa kept one, and so should you. I’m not talking about a pet reindeer, but a Naughty or Nice list. I keep one for each of my employees in a folder on my computer. Whenever they do something especially good, or especially bad, I update the list. This makes it much easier to have quality information to include in the review, meaning you don’t have to spend a lot of time thinking of what to say. If you’re managing shared resources, you’re often not the best person to be reporting on your employee’s daily activities. The product or process owner they are working for during the review period will usually have a better understanding of your employee’s performance than you do. Ask the people who your employees work for and with if there is anything they can think of that the employee has done in the last period that is especially noteworthy. Never get surprised during an evaluation. Never surprise your employee, either. If you walk out of the room and either person is wearing a shocked expression, you have done something incredibly wrong. If you wait until the review to bring up problems, you’re only creating more problems. Issues with employees need to be addressed on a timely manner, not just when you can get around to making an official record of it. That is easier said than done. Many of us prefer to avoid conflict, but remember that putting off the confrontation only allows bad habits that much more time to be ingrained. Fixing it now is much easier than fixing it at the end of the year. Its not just bad behavior that should be acknowledged immediately, but good behavior, too. If a PM comes in on time, on budget and on scope, make sure to recognize them publicly. If a BA produces a truly exceptional requirements document, circulate it around the office as an example of exactly how work should be done. If your company allows for it, presenting them with a small token of appreciation from the team can go a long way, especially in lean years like the ones we are in right now where pay raises and bonuses may be suspended. Check back later in the week for the second half of this post, which focuses on writing the actual review and then having the conversation with your employee. I have really enjoyed the post. Nicely reviewed by the writer about Project Team members. The best part of the post is “Involving a Business Analyst or Project Manager”. I think Project Team members should have a good idea about Project Management. Thanks to writer for writing such a nice review.